Are you thinking about building a new vacation home, cabin retreat, backyard casita, or workshop/garage? It can be overwhelming to think about the commitment of tens of thousands of dollars toward your dream development project that seems so far out into the future. Let us help you take all the commitment out of building that new project so you can move forward one-step at a time. The Q Cabin Kit custom design package allows you to express your wants and desires and organize your thoughts about what works for your needs. 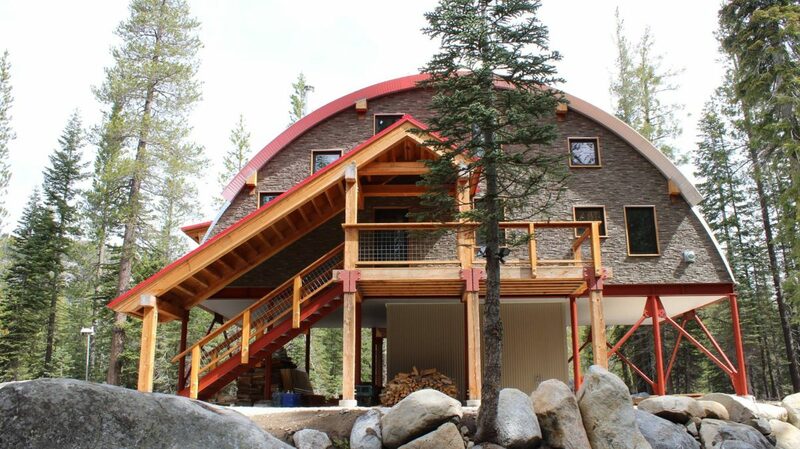 So whether it is a vacation home, a cabin in the woods, a backyard casita, a workshop, or a studio, we can customize every aspect of the design to fit your needs. We use 3D modeling techniques that generate infinite views and allow us to work on the design together over the internet. The detailed interior and exterior model can be used to generate printed floor plans and elevations that can get you started talking to contractors, bankers, and planning officials. A picture is worth a thousand words when describing your dream project to others. Then if you decide to move your project forward we offer full architectural plan sets, wet stamped engineered plans and permit coordination to get you even closer to your dream project. Our engineers are licensed in all 50 states. We have been approved in some of the most challenging areas of California including “Wildfire Urban Interface Zones”. Fire departments love our non-combustible shell. We have withstood the intense snow loads of Donner Pass and can meet any structural requirements in hurricane zones, earthquake zones, and tornado-prone areas. The Q Cabin Kits are super tough and our engineers are super smart. 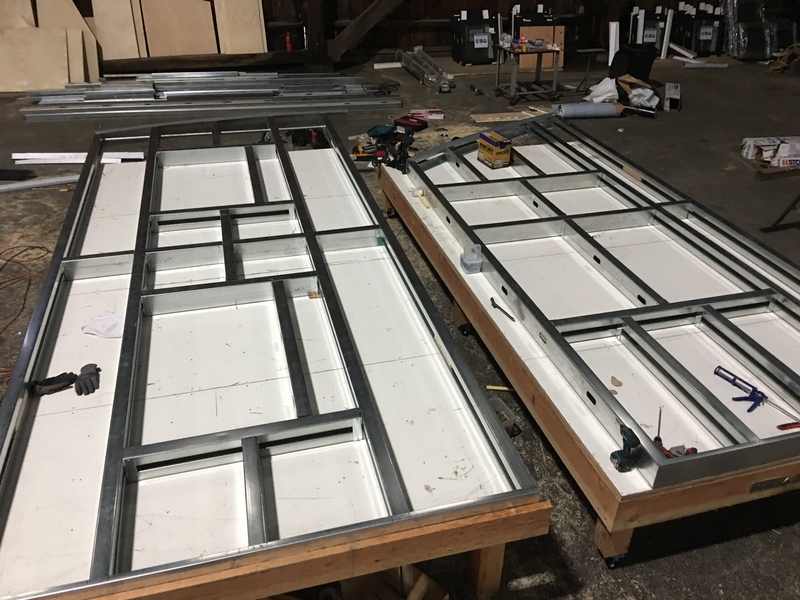 Finally, our factory in McCloud California can panelize and prefabricate your cabin for lightning-fast installation in the field. Our all steel structure is made from 50% recycled steel and our waterproofing systems are the best systems on the market today. Our structures do not rot from water absorption, harbor pests like termites, or provide surfaces for mold to form. All it takes is $2,500 to start and complete the full design process. Don’t let another year get by without making your plan. Call me today or send an email HERE. Ultimately, prefabrication is already here and been around for decades., but there is little doubt that prefabrication is the future of construction and the construction industry. Just now are we realizing the incredible benefits of prefabrication. Improvements in technology and sophisticated tooling along with rising wages are driving the industry to prefabricate as much as possible. First, let’s make some distinctions. When the industry talks about “pre-manufactured” housing, that is different than prefabricated. Pre-manufactured housing is completely built in the factory. Maybe it is delivered in 2 halves, but it is complete with finishes. This style of unit is restricted by the sizes that can be driven down the road and under bridges and delivered to easy access lots only. This means a pretty restricted product. Examples include the classic double-wide trailer, the container house, and a myriad of other units no wider than 8′ and no taller than 12′. Meanwhile, Prefabrication is a way of prepping materials so that they can be easily assembled once delivered. The components fall under the same road rules for delivery but the end product can be as large as a skyscraper. In fact, today’s skyscrapers are frequently built using prefabrication techniques. With the help of technology, CAD details can flow directly from Architects and Engineers desks to the factory floor where CNC machines can directly fabricate components to fit seamlessly with adjacent components. The Q Cabin Kits may not be that sophisticated yet, but the concepts are all still there. We prefabricate components in our shop for easy, precise, installation in the field. This makes our homes capable of unlimited size and incredible creative freedom while being cost effective to erect and finish. Let’s use the installation of a second story window in a prefabricated Q Cabin Kit versus a conventionally framed home as the example of why. First, I want to tell you the answer. The answer is money. So, in the conventionally framed home the first order of business would be to fetch the window. It is likely down at street level somewhere and so you take a laborer with you and you identify the window and shag it up flights of stairs and into the room where it belongs. After catching your breath you attempt to thread the window diagonally through it’s framed opening, holding it 20′ above the ground and pulling it back into the opening without dropping it to the dirt below. Next you must lean out the window and look back at the wall to find the fastening locations. Easy at the sill location but not the ones on the top of the window. Maybe though, you have spent thousand of dollars and you have a scaffold system set up on the outside. Now you climb out the window scuffing the sill with your hammer as you exit onto the scaffold. You have your assistant hand you all the tools and materials needed to attach and flash the window. You stretch to take accurate measurements for the flashing but you cut the piece and it is too short. Oh well, no on will see it from that height anyway. Total time invested 1.5 man hours. Time to go back for another one. A prefabricated Q Cabin Kit is quite the different experience. Two workers grab the window from the adjacent stockpile, lay it in the hole at waist level, fasten the window using their weight instead of their shoulder, and finally place the flashing around the easily reachable window from a comfortable table top level. Total time invested 2 men 10 minutes or .33 man hours. That is over 75% more efficient than the field installed window. There are no mistakes from the fear of heights, there are no twisted back muscles, there are no hassles. It is easy to install a window perfect every time. 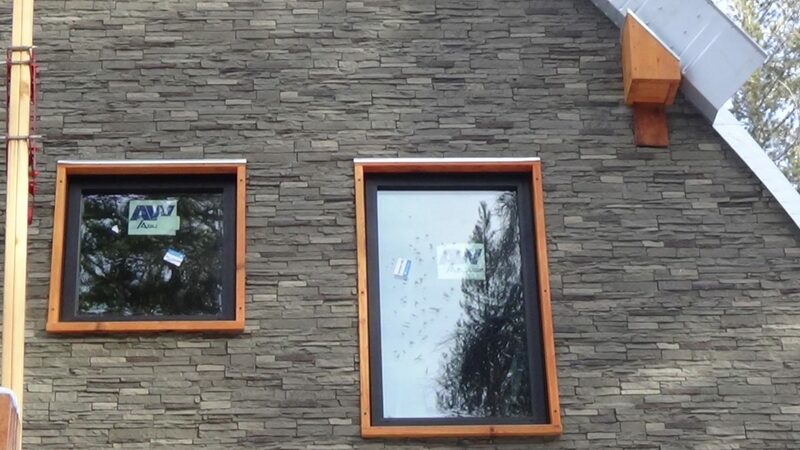 The example of the second story window is just one activity in a long list of activities that are streamlined in the Q Cabin Kit factory that improve the overall project duration of your home. That is why a 1,400 sqft Q Cabin Kit, fully roofed with the exterior dried in, takes 1 week versus the conventional stick built version at 4 weeks. Time is money and money is saved with a Q Cabin Kit. That is why prefabrication is the future of construction. Faster, better, cheaper – A Q Cabin Kit offers all 3.